Background - A replica of Captain Cooks ship was transformed into a floating museum to mark the 250th anniversary of Cooks expedition to the Pacific. 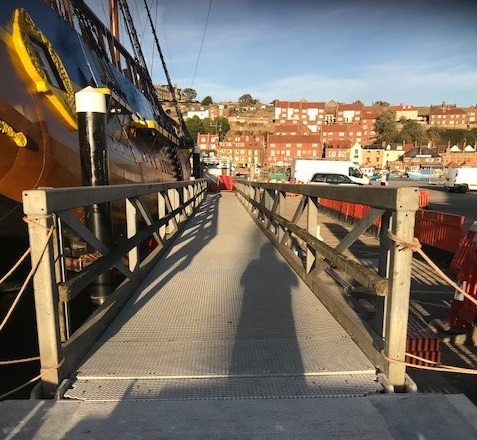 The Project - A gangway connecting the quayside to a restaurant on bound the ship needed to be made safe for public access. 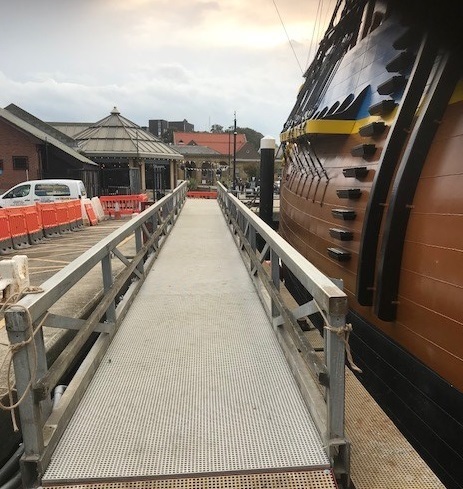 The Solution - Decksafe Solutions supplied GRP mini mesh grating to create a corrosion resistant, high strength, light weight and anti-slip walkway.